Artinian Co., Ltd is a jewelry design and manufacturing company based in Bangkok, Thailand. They have a reputation for tailoring innovative jewelry creations for high profile retailers, international designers as well as for private clientele. 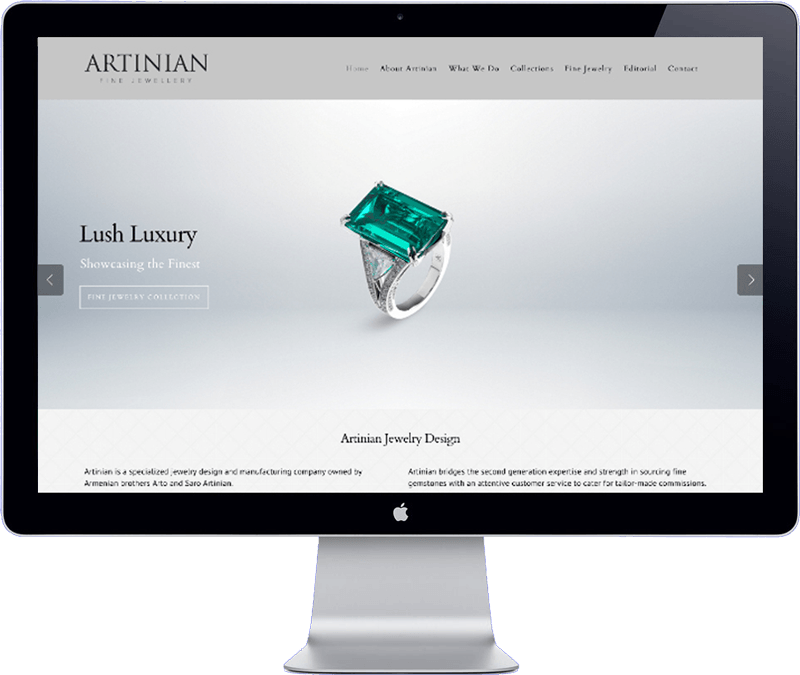 The marketing team at Artinian requested me to develop a new website to showcase their latest jewelry collections in an elegant way. I created an elegant design and incorporated the colors from the logo the match the corporate branding designs. The website is optimized for tablet and phone formats.